The future of the James Bond series is basically one big question mark, mostly due to Daniel Craig’s constant waffling about whether or not he wants to do another movie. 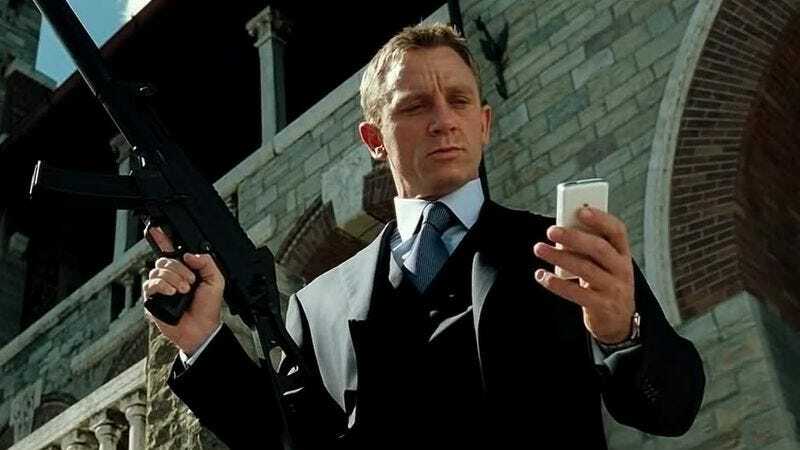 But there’s also the fact that Sony Pictures’ four-film deal with MGM and Eon Productions to distribute to James Bond series ended in 2015 after the release of Spectre. That means a different company may now have a chance to put its logo in front of the next James Bond movie, and The New York Times says that five different studios—Sony included—are currently fighting for that honor. Actually, “fighting” may be a little overdramatic, as the New York Times piece says that MGM and Eon have been “attending dog and pony shows” from the hopeful studios, with Sony reportedly going so far as to make its case “inside a sound stage on a recreated set from Dr. No,” which is like one of those ridiculously over-the-top dates that a rich TV character would plan. The other studios are Warner Bros., Universal, 20th Century Fox, and indie powerhouse Annapurna Pictures—which was behind movies like Her, Zero Dark Thirty, and Kathryn Bigelow’s upcoming Detroit—but the Times story doesn’t say what kind of lavish stunts they’ve pulled in an attempt to woo MGM and Eon. Interestingly, the Times story does note that the distribution deal for the James Bond series won’t pay a whole lot, and it would only cover one movie. Essentially, the only reason to fight for it then is to get “bragging rights,” since a James Bond movie looks good on a schedule and it’s pretty much a guaranteed hit—even if the distribution company isn’t getting a ton of the money.